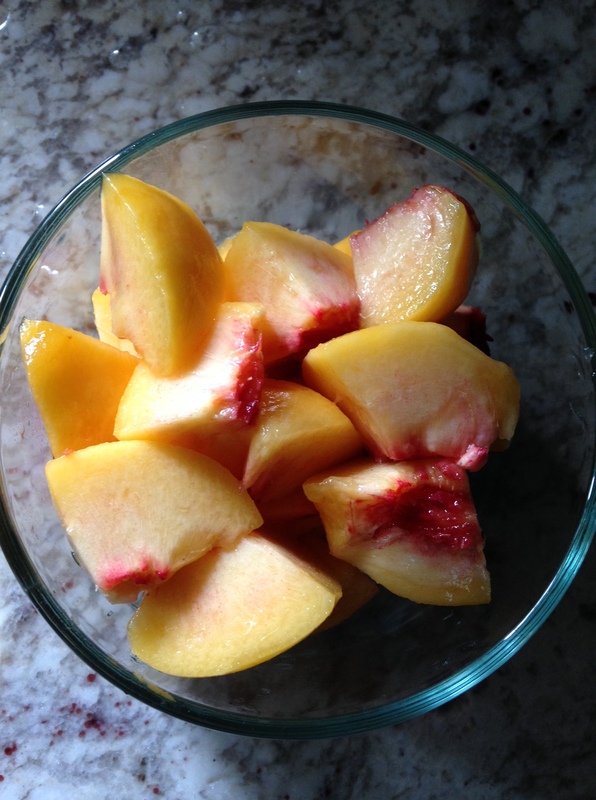 My friend Lisa returned from her family’s organic peach farm in Colorado with these phenomenally good peaches. They were magically delicious by themselves, but I was in charge of a dessert for a dinner party, so I thought I’d somehow incorporate them in to a sweet treat. 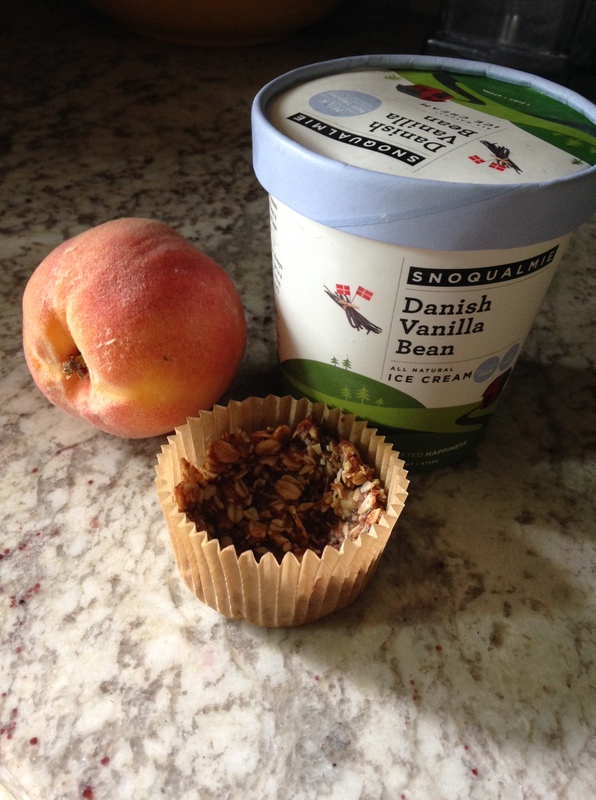 I used to use store bought or canned peaches, a tube of ‘slice and bake’ sugar cookies and grocery store vanilla ice cream as a summer dessert before I knew any better. So that chemical-laden, highly processed treat, oddly, was the inspiration for this healthier, more tasty dish. It’s pretty simple if you just want to sprinkle a granola “crumble” on top—MUCH EASIER and same taste, by the way. 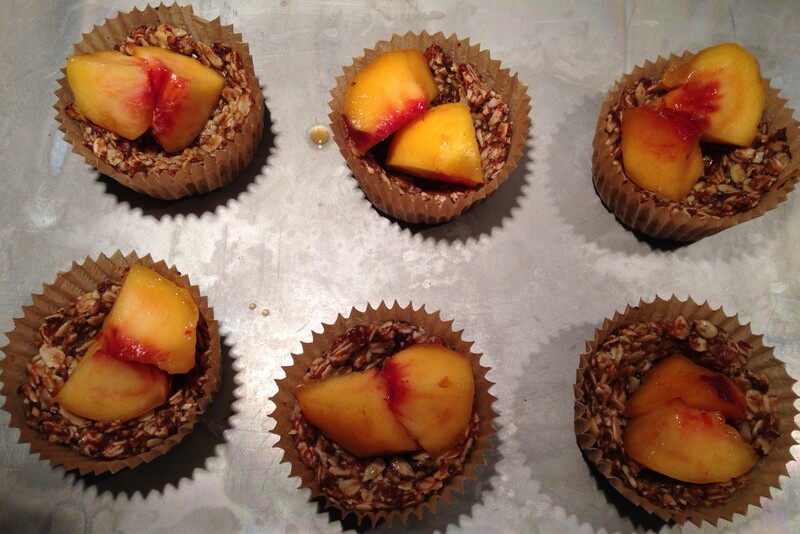 But if you are aiming to impress, have some extra time, or just like to shoot for the stars, try the home made granola cups. Combine all of the above in a food processor and then mold in to cup cake pan with baking cups. Bake on 375 for about 10 minutes. Remove from oven. At this point you can save the cups for future use in the fridge, or go ahead and add a few pieces of your chopped peaches, and return to oven for another 10 minutes. 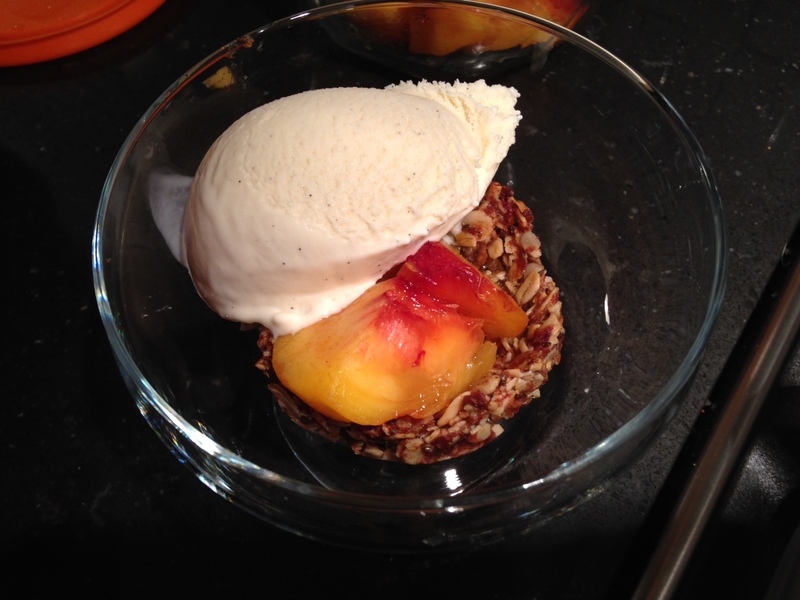 Pull your peach granola cups and let cool a few minutes. Then serve with organic vanilla ice cream. Only the good stuff! 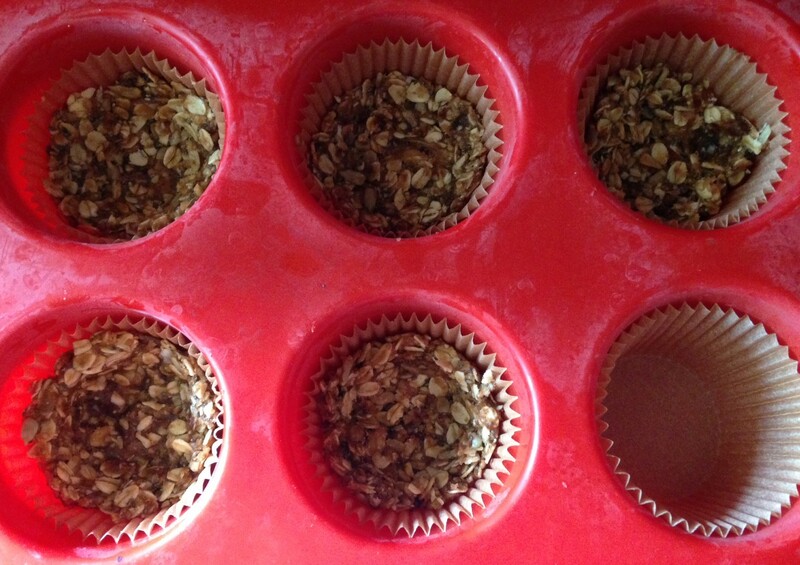 If your cups crumble, trust me, no one will notice, because these are mind-blowing good! Those are cute cups! Great idea! These are a great sub for carb and chemical loaded muffins and cupcakes—I hadn’t found a reason to use my muffin pans in a long while!